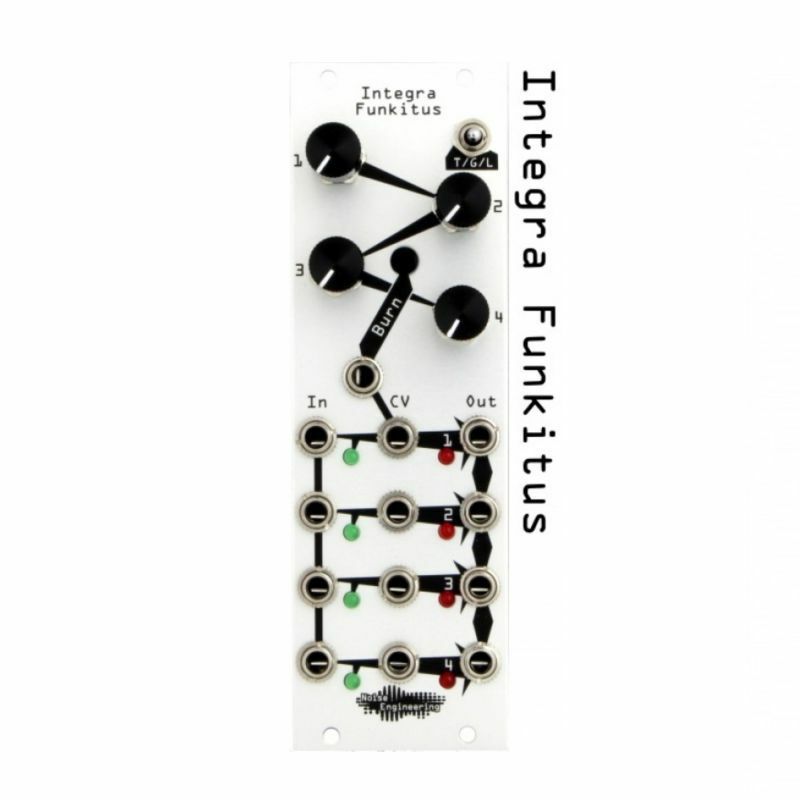 Integra Funkitus is an 8HP rhythm generator. It takes up to four input rhythms and combines and modifes them into rhythm outputs. There are three modes: two based on probability and one on generalized logic combinations.